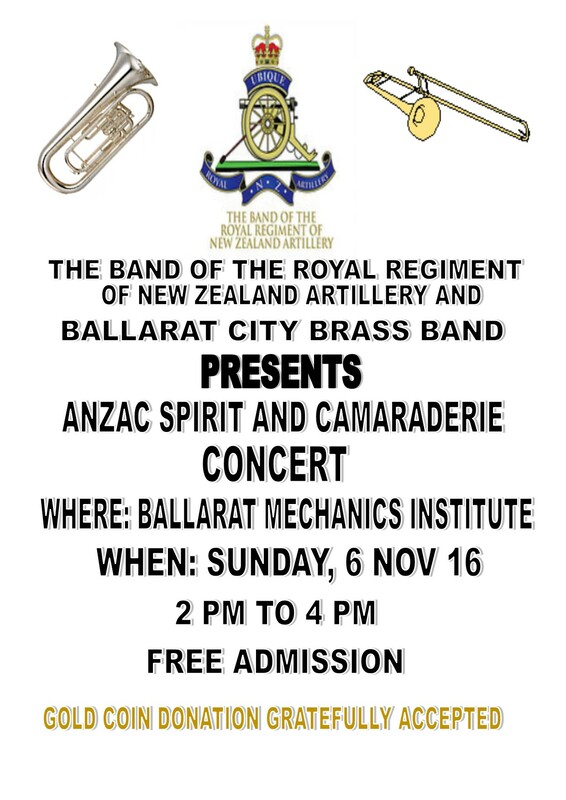 Come along and enjoy the combined bands of “The Band of the Royal Regiment of New Zealand Artillery and the Ballarat City Brass Band”. The NZ Band are in Australia for 1 week and Ballarat is there first gig. The highlight of their tour while in Australia will be Leading the Parade (in Lieu of the RAN Band) this year for the Remembrance Day Service in Melbourne on 11 November 2016.